Charles Leroy Rakestraw, son of the late John Oliver and Iva (Moore) Rakestraw, was born November 15, 1937, in Edwardsville, Alabama, and passed away November 20, 2018, at Mercy Hospital in Springfield, Missouri. He was 81 years and 5 days of age. Leroy lived in Texas many years, where he was a well-known business man. He was owner of Athens City Garage, Leroy’s Truck and Auto Repair, and P & L Water Wells. He retired to Norwood, Missouri, where he met his wife, Sue Goodman. They were married on March 12, 2003, in Little Rock, Arkansas, and celebrated 15 years together before his passing. Leroy served as mayor of Norwood for four years and as alderman for seven years. He was a kind-hearted gentleman, and was willing to help in any way he could. Leroy helped many people and would give you the shirt off his back if you needed it. He loved spending time outdoors, whether it was working or recreational. Leroy especially loved going fishing with his favorite fishing buddy, his loving wife, Sue. They would go to their favorite crappie hole down by the lake, where they found many hours of enjoyment. 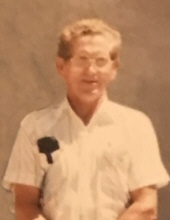 Leroy was preceded in death by his father, John Oliver Rakestraw, his mother and step-father, Iva and Clarence Fowler Graham, his siblings, Joyce Kilgore, Bud Rakestraw, Truman Rakestraw, Bernice Hill, D.B. Culpepper, Pam Johnson, and Linda Graham. He is survived by his wife, Sue Rakestraw, of the home in Norwood, his children, Charles Rakestraw, Melody Rakestraw, Robbie Rakestraw and his wife, Donna, Rena'te Paroline, Crista Couch and her husband, Casey, and Leslie Adair, all of Texas, Lisa Amstutz and her husband, Brian, of Kentucky, Trixie Turner and her husband, Larry, and Randy Hampton and his, wife, Teresa, all of Missouri, his grandchildren, Randy, Mindy, Alex, Albert, Zachary, Troy, Jessee, Taylor, Lizzie, Connor, Jefferson, Brittany, Cooper, Kelsey, Marlie, Kyle, Mark, Austin, and Ethan, his siblings, Marie Holoman, Frances Turner, Dottie Kiser, and Stevie Graham, and many other family and friends who will miss him very much. To send flowers or a remembrance gift to the family of Leroy Rakestraw, please visit our Tribute Store. "Email Address" would like to share the life celebration of Leroy Rakestraw. Click on the "link" to go to share a favorite memory or leave a condolence message for the family.